Offseason Blueprint: Hey Big Spenders! As the offseason gets underway, our team at Twins Daily is formulating blueprints that exemplify differing approaches the front office might take this offseason. Last week Tom presented a trade-heavy changing of course, while Seth envisioned an internally focused rebuild. Today we'll have some fun and draw up a scenario in which the Twins really open up the wallet and push payroll to new (not totally implausible) heights. Join the fun by downloading your copy of the 2019 Offseason Handbook and creating a blueprint in the forum. The Minnesota Twins opened the 2018 season with a $129.5 million payroll. It was the highest figure in franchise history, but still ranked just 16th among MLB teams. This tells you all you need to know about where the league currently stands with spending, even after a conspicuously splurge-averse 2017-18 offseason. The Twins probably won't spend more in 2019 than they did in 2018. But there's not much reason they couldn't. Pushing payroll into the $150 million range would still place Minnesota comfortably among baseball's mid-tier spenders. And if they actually were working under such a cap, they'd have about $80 million in available funds for next year. How to spend all that money?! I'll see if I can find a way while adhering to the model of sustainable, long-term thinking. Berrios and Buxton are both four years away from free agency. Neither has made big money yet, and each has motivation to lock up long-term financial security. This is the perfect time to strike, and with their financial flexibility, the Twins can offer upfront bonuses to incentivize. I'm envisioning a Berrios deal similar to the ones signed by Corey Kluber and Carlos Carrasco in Cleveland, with team options on the back end in exchange for guaranteed money now (pitching is a dangerous profession). Meanwhile, Buxton gets locked up for his prime years, reasonably if he's a solid contributor and ultra-reasonably if he's a star. Both can still hit the open market around age 30. The terms might not exactly align with what I've laid out above, but you get the idea. For the purposes of this blueprint and its payroll calculus, I'm carving out $4 million for each in 2019 (several times what either would otherwise stand to make). In the Offseason Handbook, we deemed Corbin the best starting pitcher on the free agent market. Last year, the Twins pursued Yu Darvish late into the offseason but ultimately came up short. This time around they get their guy, reeling in the stud southpaw Corbin coming off a career year. He joins Berrios as entrenched rotation cornerstones for the next half-decade. It's not an investment without risk (we all saw what happened with Darvish), but I feel good about Corbin, who posted stellar numbers in hitter-friendly Arizona and only seems to be hitting his stride at age 29. Power bullpens are the name of the game. The Addison Reed signing didn't work out, but I'm biting the bullet and spending on Herrera, aiming high but not quite at the Craig Kimbrel/Jeurys Familia tier. Herrera can step in as closer, or as top setup man with Trevor May keeping the ninth; either situation sounds great with Taylor Rogers also around as a proven late-inning arm. 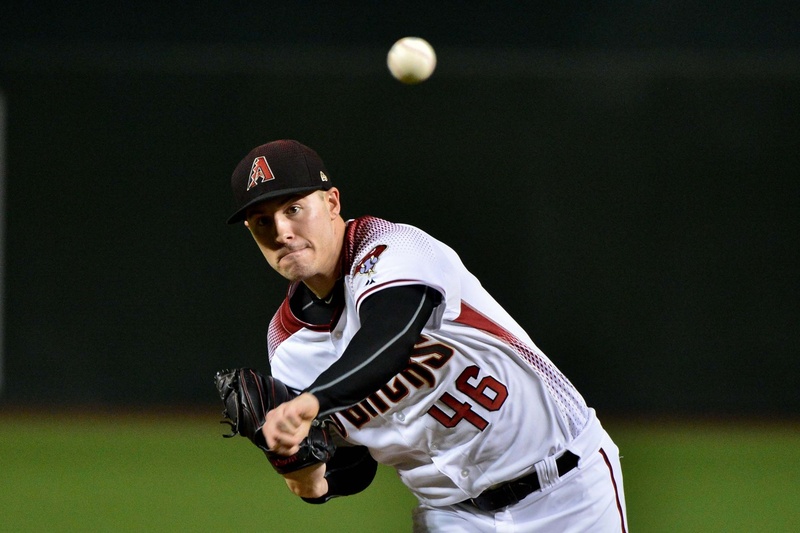 As lefty specialist, I'm enlisting one of the best in Blevins (585 career OPS vs LHB) on a short-term deal. I wasn't kidding about the power bullpen thing. Iglesias is a stud reliever with two years left on his contract, and the Reds are going nowhere at present. Flip them a couple young MLB-ready assets and weaponize Iglesias as a strategic fireman of the new era. Having Iglesias on hand in addition to Herrera, May, Rogers, Reed, Blevins and Trevor Hildenberger would enable Rocco Baldelli to stack relievers behind (or in front of, whatever floats your boat) the starters in the back half of the rotation. That contract estimate would've been unthinkable a couple years ago, but things have changed for the former MVP. He took a step backward in 2017 and stumbled badly in 2018, playing only 52 games amidst recurring calf issues. Admittedly this contract estimate (via the Handbook) might be a bit low, but it's feasible Donaldson could go for a one-year deal in that vicinity to rebuild value. He'd fit nicely with Minnesota, where there's flexibility to adjust to his new reality. If he can play still play third, great, Sano goes to first. If Donaldson is better off at first, then Sano gets another year to show what he can do at the hot corner. Granted, each of these sluggers has his question marks, but I'm not committed to either beyond 2019. And the upside of this corner combination... whew. The thing about rostering Sano and Donaldson along with Tyler Austin and Robbie Grossman (who I'm bringing back as DH/OF for a reliable dose of OBP) is that there are some major defensive limitations going on. To offset this, we add Gonzalez, who's played all over the field for the Astros while providing a steadily solid switch-hitting bat. I'm actually plugging him in as the right field starter, with Buxton and Max Kepler rotating until at least one establishes himself as a clearly deserving full-time regular. And if both do (which I'm bullish on), Gonzalez can be used elsewhere. Crucially, he can play third, which helps reduce the risk of our previously stated Sano/Donaldson plan. He's not much of a hitter (.666 OPS the past three years), but Iglesias is among the best defensive shortstops in the league, and he's only 28, so I'm happy to pony up for him as my No. 9 hitter. Sliding Jorge Polanco to second while inserting Iglesias at short vastly improves my middle-infield defense, and this commitment is short enough to segue nicely to Royce Lewis in 2021. Okay, granted, when you add in the money still owed to Phil Hughes, and the buyouts for Ervin Santana and Logan Morrison, it's up closer to $150 million. But such a number still would've ranked around the league median in 2018, and that's before the anticipated spending spree poised to take place this winter. Plus, look at that beauty. This roster is built to win the division and boasts some staying power. With Chicago, Detroit and KC all rebuilding, and with Cleveland talking about trading away parts to trim payroll, one could argue the time is ripe for full-fledged investment. I think we can safely say the Twins won't be quite as active and splashy as I've suggested above, but the point to take away here is this: right now we're looking at an almost completely fresh slate, with a wide-open horizon of roster-building opportunity. You could pick and choose from the ambitious list above and arrive at a more realistic payroll figure while still upgrading with big names in several areas. High-profile free agents like Corbin, Gonzalez, Herrera and Donaldson are very much on the table, and Minnesota's front office should be seeking opportunities to acquire established difference-makers from rebuilding clubs. If you were calling the shots, what would be your course of action this winter? Download the Offseason Handbook to see all the options at your fingertips. Not when you factor in airfare though. If Buxton doesn't improve at the plate in spring training and during the first few weeks of the season, I have a solution that should improve his average. When he gets to two strikes, should he be instructed to only consider bunting?If it is a slider out of the zone, he pulls the bat back and waits for a strike.If it is in the zone, he bunts.Sure he may foul half of them off and only be safe on half of the others.But getting to first base 25% of the time is a lot better than striking out nearly 100% of the time.Is this idea worth the space it took to write it?Could he add 20 or 30 points to his average?Or is it a worthless idea? The reason I mentioned it here is because Buxton has been discussed in this piece. I saw on the mlb channel that the Whitesox may be going for Machado and or Harper? That would probably change the dynamics of the central a little bit? It's a fascinating scenario. I don't love slotting in Marwin Gonzalez; his positional flexibility is really nice, but I don't love paying him $11M a year. (and I don't love paying Grossman $4M either). Even in a "big-spender" mode those feel like less than great investments. Gonzalez hitting in 2017 looks like a fluke year, so dropping this kind of money on him doesn't make my socks roll up & down. The corbin signing would be a risk, but damn if it wouldn't be a hell of a splashy move. Berrios and Corbin would be really nice at the top of the rotation (and set the team up nicely for a playoff series), and Gibson & Pineda should be able to chew up innings well in the 3-4 slots, allowing Romero to develop with less pressure. Donaldson: I could see it. a 1 year "prove it" kind of deal to rebuild his value before he tries for one more big(ish) multi-year? It's not a crazy idea and it seems unlikely that he's going to get a 4-5 year offer at the kind of money he'll want. Maybe he could be convinced to bet on himself. Extend Berrios: love it. I'm 100% behind this. Extend Buxton: I love it and I hate it. Man, I just don't know. I want to believe! I'm afraid to believe. I really don’t see the logic of committing $50 million plus to Byron Buxton and then taking a wait and see approach as to whether he will play. If he doesn’t, that extension looks pretty foolish. 2- Do you really lock up Buxton after his injury plagued season? And would Buxton even want to sign right now? I believe Buxton and his agent would want to wait and hope he reaches his full potential, then cash in bigger. This is why the Twins should attempt to sign Buxtonto an extension now. ...but you can't get one the all time favorite Japanese ballpark snacks: dried squid on a stick. This is great for gnawing on over 3-4 innings. I get where you're coming from. What I'm saying is that 1.) Are the Twins going to overpay just to smooth things over? and 2.) Do Buxton and his agent even want to sign an extension right now? If they expect his value, which is probably a bit low right now, to go up in the future, they likely will wait it out. → Article: Offseason Blueprint: Hey Big Spenders!